Frankfurt is a very ‘green’ city. More than 50% of its territory is gardened or directly occupied by parks and public gardens. In addition to the famous ‘green belt of parks’ with a total area of about 8,000 hectares, which covers Innenstadt and one third of the administrative district of the city, there are about three dozen green zones of all sizes and purposes. This is a magnificent park with a luxurious mansion, which was left in the memory of the famous German dynasty Bethmann. This beautiful park resembles a real green oasis. From the noise of the metropolis the park is separated by thick ancient walls. A riot of colors on the well-kept flower beds and unique blooming bushes and trees make Bethmann Park look like the most prestigious resort in Germany. The natural splendor Bethmann Park is also caused by the Chinese garden with the pagoda, created according to all the rules of the Feng Shui teachings. By the way, chess lovers can enjoy their favorite game on a special platform with 1-meter-high figures. The unique Nizza Park or ‘Little Mine’ is situated on the northern shore of Main, between Friedensbrucke and Untermainbrucke. Initially, there was a small garden in the territory of the modern park, and only in 1860, after the appearance of the railway along the coast, the garden began to develop. And it happened in many respects thanks to the major city gardener Sebastian Rinz. One of the arms of the river has been removed, and on its place a park full of flowers, trees and shrubs was created. In 1875, the park received its current name for the abundance of exotic plants planted by the grandson of Rinz – Andreas Weber. Several re-planning and reconstruction took place in the park – in 1930, 1950 and in 2000. ‘Little Mine’ is famous for frost-resistant plants that adorn the park throughout the year. 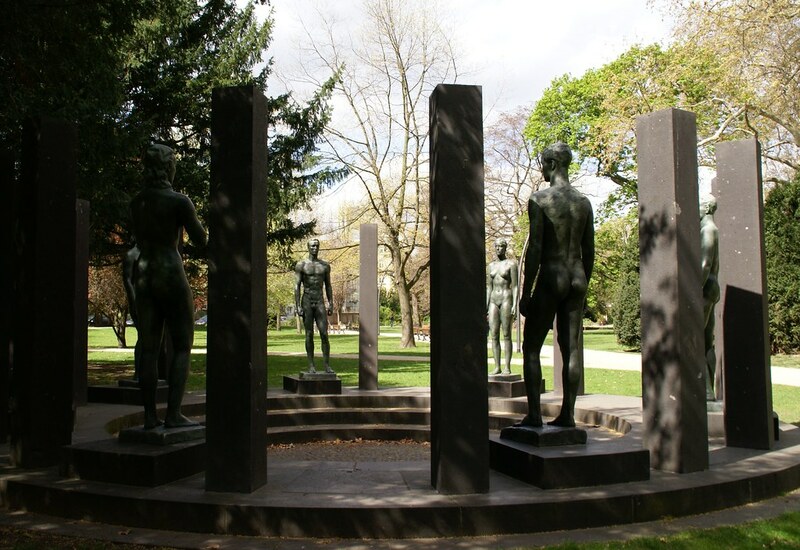 Hessen Park is an open-air museum situated in Neu-Anspach in the German city of Hesse. It’s a favorite place for family holidays. The park was founded in 1974 by the Hessian government led by Albert Osswald. On the territory of Hessen park you’ll find wooden houses and windmills built in the typical style of Northern Germany. The total number of buildings is more than 100. 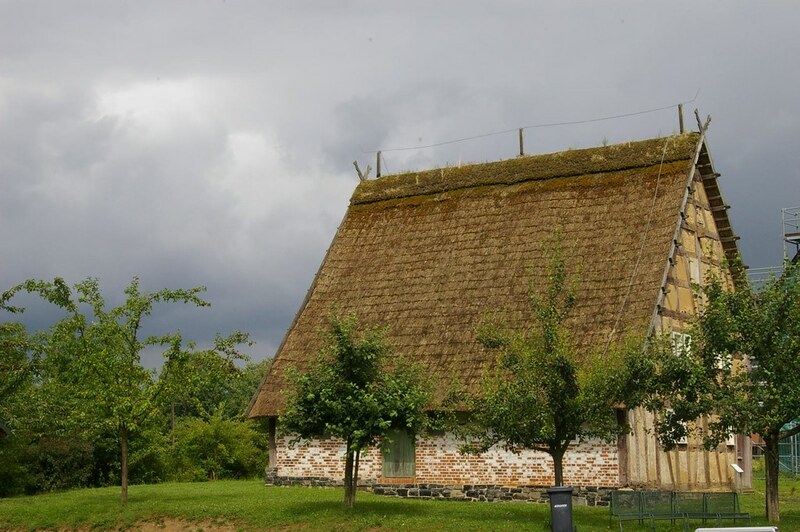 The houses with their exterior tell visitors about the village life of various regions of Hesse. Also, there are rural schools, churches, post offices, smithies and farms in the park-museum. At the weekend, master classes on manufacturing of brooms, ropes, pipes as well as threading on various materials are organized there. In addition, events dedicated to the memorable days are held. There are several village markets in the museum. Located on the territory of 22 hectares in the south-west of the city, Palmengarten is the largest botanical garden in Frankfurt. By the way, it competes in size with the largest botanical gardens of the whole Germany. It was opened in 1871 under the guidance of the well-known landscape designer Heinrich Zismayer. In the pavilions of Palmengarten you’ll find plants of completely different climatic zones – from the polar birches to the Mexican cactus. In Palm House in the subtropical landscape grow several species of palm trees and ferns. In the Tropical House there is a flora of savannah, wet desert and tropical forest, and in the Cactus garden there are succulents from Africa and America. Trees, bushes and even flowers of the coldest places of the planet you can admire in the Subantarctic House. Besides of the greenhouses, there are also open areas, decorated with flower beds, fountains and statues. Boats can be rented in a large lake on the south-western corner of Palmengarten. Children will be also happy to spend time at the children’s playground and miniature railway – Palmengarten Express. Rothschildpark is one of the oldest parks on the territory of Frankfurt and within two-hundred-year history it has undergone significant changes. In the 18th century, the well-known banker Mayer Rothschild bought the land in this place in order to build a grand palace for the summer pastime. To make the rest even more enjoyable, it was decided to refine all the surrounding territory. As a result – the park has appeared there. However, the building didn’t survive in the bloody Second World War, but the green plantation still pleases the eyes. There is a beautiful lake, modern playgrounds, as well as benches and paths for leisurely walks. Also, there’s neo-gothic tower of the XIX century and sculpture ‘Ring of statues’ by the famous Georg Kolbe. 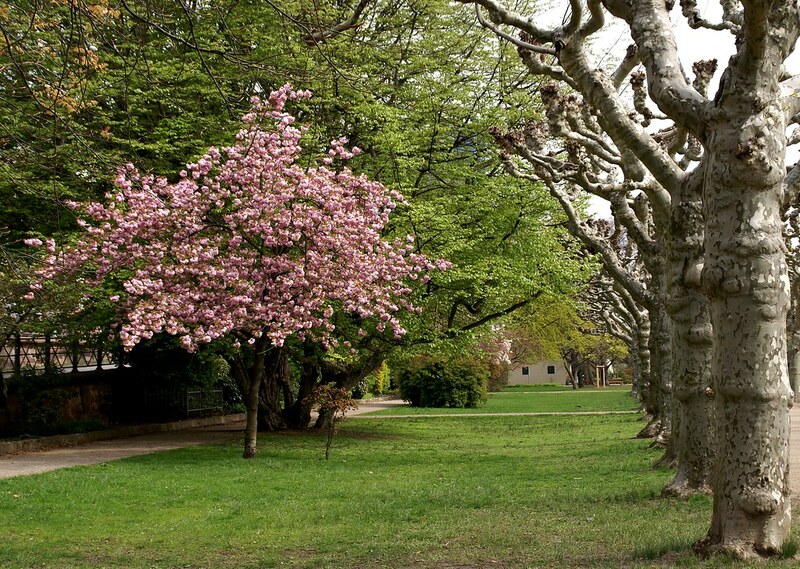 Frankfurt is a real natural gem of Germany, and its numerous parks offer great opportunities for rest. So, if you’re tired of an exhausting flight to Frankfurt, you can rent a car at Frankfurt Airport and set off to any of these parks to relax and gather strength.